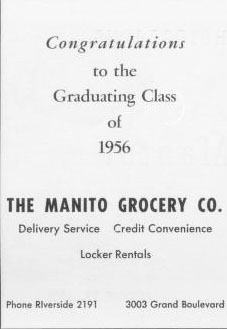 Congratulations to the graduating class of 1956. Delivery service, credit convenience, locker rentals. Phone Riverside 2191.